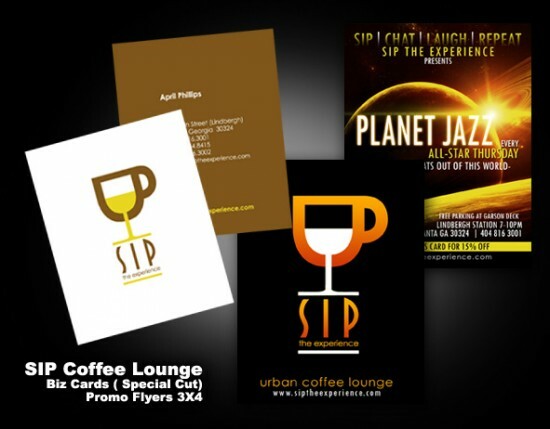 We designed Custom Business Cards, (Odd Size) for SIP Coffee Lounge, we also designed Small 3×4 Flyers to help promote a Thursday Jazz Night. The printed material was full color, 14pt. premiem thick stock without Gloss.